Yet states considering whether to enact the controversial strategy face major hurdles. They will have to figure out how to define the work requirement and alternative options, such as going to school or volunteering in some organizations; how to enforce the new rules; how to pay for new administrative costs; and how to handle the millions of enrollees likely to seek exemptions. Take Arizona, one of the 10 states that have applied for federal approval for a work requirement. The state must settle basic questions, including whether people would have to meet the new conditions at the time of enrollment, at the annual renewal of their Medicaid coverage or at another time. Jami Snyder, deputy director of the Arizona Medicaid program, said a key goal for the state is to help people find jobs — not to reduce its Medicaid enrollment, which stands at 1.9 million. “Infusing the requirement into our eligibility requirements acts as a nice incentive for enrollees in their effort to seek out employment and job training,” she said. But the state today doesn’t know how many of its enrollees are already employed, said Snyder. “We are still working through all the operational details,” she explained. 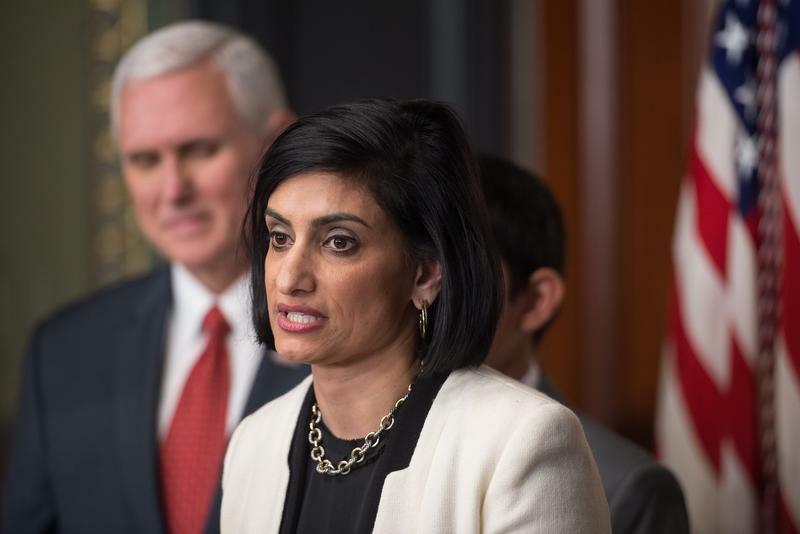 Seema Verma, administrator for the Centers for Medicare & Medicaid Services, said she hopes the new work requirement will improve enrollees’ health while reducing Medicaid rolls. The policy change should help people find jobs that offer health coverage or make enough money to afford private plans, she said. Critics expressed skepticism. They say the work requirement proposal — which was repeatedly rejected by the Obama administration on the argument it would interfere with providing health coverage — is a more subtle way to reduce the number of non-disabled adults added to Medicaid under the Affordable Care Act. That Medicaid expansion was sharply criticized by conservatives, and Republicans in Congress tried to add work requirements in their unsuccessful bid last year to overturn the health law. “This is an effort to walk back the Medicaid expansion,” said Judith Solomon, vice president of the Center on Budget and Policy Priorities, a Washington-based research organization. CMS said states would have to test whether the work requirement improves enrollees’ health — a point Solomon ridiculed. “What health outcome will be improved if we take away health care from those not able to work?” she asked. Dr. Richard Pan, a California state senator and pediatrician in Sacramento who sees Medicaid patients, said the idea just “doesn’t make sense.” By making it harder for people to have health insurance, “you’re going to make it less likely for them to work,” he said. Pan, a Democrat, said the proposal would create more bureaucracy and “feeds into a fiction” that Medicaid enrollees don’t work — or don’t want to work. More than 4 in 10 non-disabled adults with Medicaid coverage already work full time. Despite their concerns about the change in Medicaid policy, critics of the plan acknowledge that it will touch only a fraction of the nation’s total enrollment. Solomon estimates that fewer than 2 percent of the 74 million people covered would be directly affected by a work requirement. In addition to the large group of enrollees already working, the federal guidelines excluded children — who make up nearly half of Medicaid enrollees. Also off the hook are the more than 10 million enrollees who have a disability. Many of those left either to go to school or take care of a relative or are too sick to work. The CMS guidelines give states wide latitude in enacting work requirements, and state rules may differ on who gets exempted from the mandate. Arizona’s proposal has one of the longest lists of exemptions, including people 55 and over, victims of domestic violence, American Indians and individuals who have experienced a death of a family member living in the same household. It is unclear how enrollees will prove they meet such criteria or if states will use the honor system. In comparison, Kentucky seeks to exempt children; pregnant women; primary caregivers for children or a disabled relative; people who are medically frail; and full-time students. Emily Beauregard, executive director for Kentucky Voices for Health, an advocacy group, said one of the key exemption issues states must work out is defining who is “medically frail”— a designation that CMS said would exempt enrollees from the requirement. The federal government, however, leaves the qualifying characteristics up to states. Before coming to Washington last year, Verma was a health consultant who worked with Indiana and Kentucky to expand Medicaid under the ACA. But in a speech to the nation’s Medicaid directors in November, Verma said adding non-disabled adults to Medicaid was a mistake for a program designed to help children, the disabled and pregnant women. “The thought that a program designed for our most vulnerable citizens should be used as a vehicle to serve working-age, able-bodied adults does not make sense,” she said at the time. Some Democratic-leaning states are not expected to make the change. California health care leaders dismissed the idea of imposing a work requirement on the state’s Medicaid enrollees, saying it would never come to pass. Kevin de León, a Democrat and the leader of California’s Senate, wouldn’t comment on the proposal because he said it’s a non-starter. “This is not an option we are considering,” said Jennifer Kent, director of the state Department of Health Care Services, which administers Medi-Cal, the state’s Medicaid program that covers about 13.5 million Californians. Most states contract with private health insurers to run much of their Medicaid operations. Those insurers said they remain concerned that as the work mandate unfolds, their jobs might become harder because of increased churn in enrollment and administrative work. About 52 million of the 74 million Medicaid enrollees rely on managed-care companies for their coverage. “With this guidance from CMS, it will be essential for states and stakeholders in the states — including insurance providers — to understand the details of who will be impacted by work requirements, how these requirements will be defined and administered, and how people who are impacted will be directed to new pathways for coverage and care,” said Kristine Grow, a spokeswoman for America’s Health Insurance Plans, a national trade group. Jeff Myers, president and CEO of the Medicaid Health Plans of America, another trade group, noted that most people on Medicaid already work. 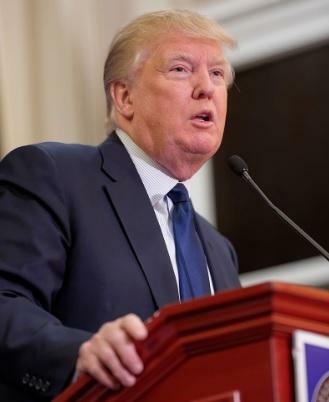 He said his group is concerned work requirements could affect how the health plans operate. They will need to “see all of details from states,” he said. Florida officials say hackers may have accessed the personal information and medical records of up to 30,000 Medicaid recipients two months ago.